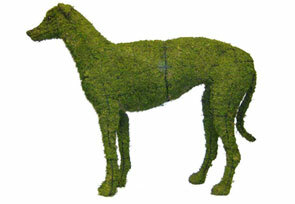 Set your lawn or garden apart with a topiary dispay. 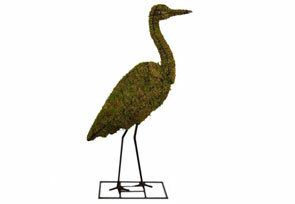 These whimsical animals add a touch of adventure and fun that is sure to bring a smile to all who visit your garden creation. 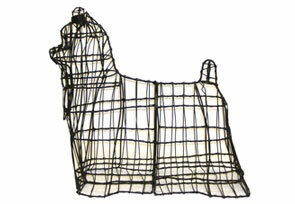 Each of these frames is hand woven of durable steel, and double coated with epoxy to discourage rust. 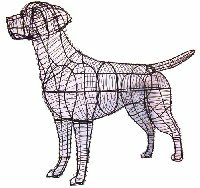 Many of the larger forms are designed in two pieces to allow easy access to the interior. 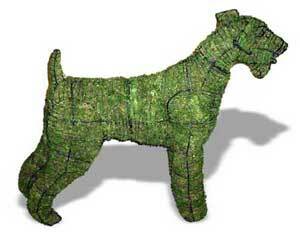 Each topiary wire form comes with or without Sphagnum moss growing medium. 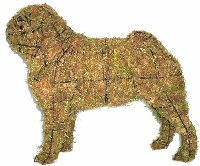 Sphagnum moss is generally regarded as the best performing substrate due to its homogeneity and ability to absorb air and water with great efficiency. 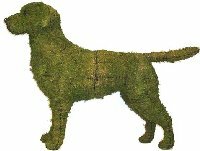 Use Liquid Green Spray to spray your Sphagnum moss for a beautiful green color if you do not want to add plants to just a portion or to all of your mossed topiary. 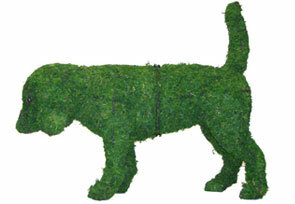 Our Topiary Frames are the basis for all our Topiary. 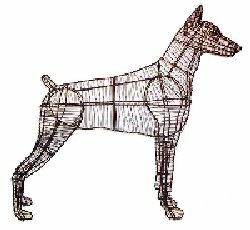 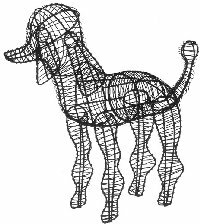 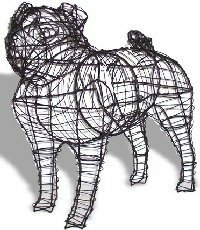 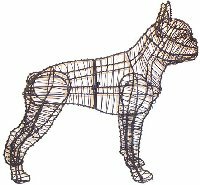 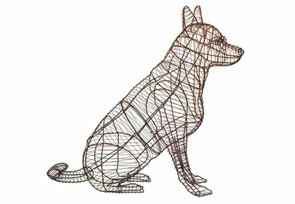 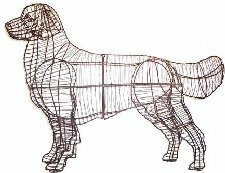 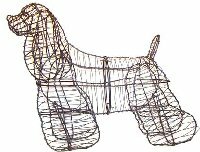 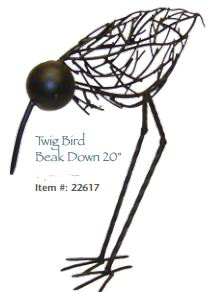 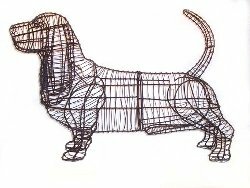 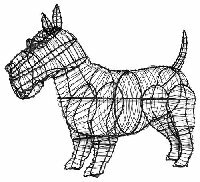 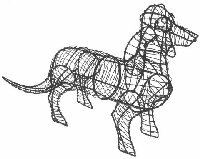 These 3 dimensional, hand crafted, one of a kind sculptures are made with varying guages of metal wire which are hand shaped and then welded to form the desired design. 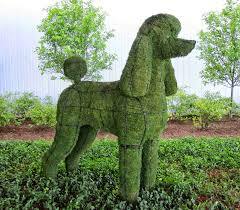 After a quick cleaning every topiary is then powder coated to resist the elements. 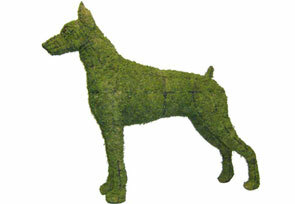 The final touch is our character eyes which bring each topiary to life. 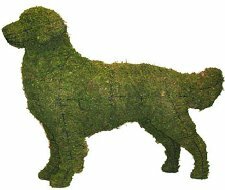 Most of our patented topiary come in sections to allow for reduced shipping costs as well as giving alternative planting methods. 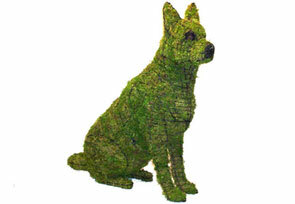 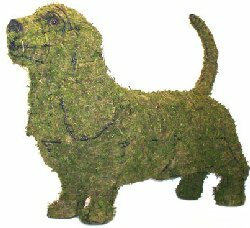 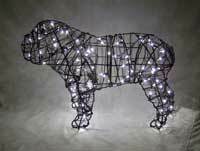 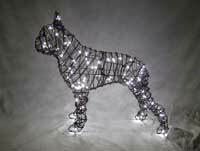 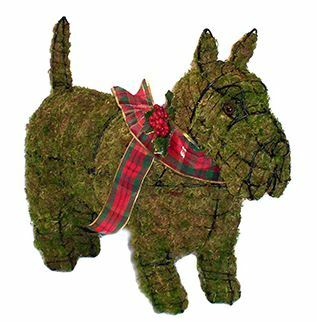 Our Lit Topiary are one of our most popular items and it is easy to understand why. 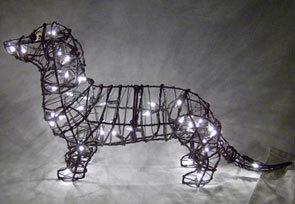 Once you have seen them, you too will fall in love. 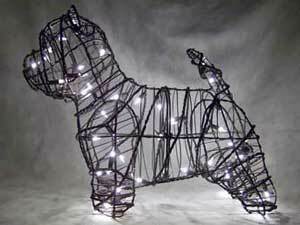 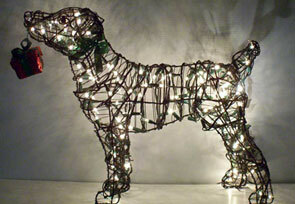 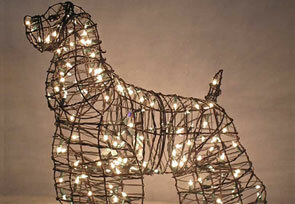 Wrapped in clear mini lights, these topiary are easy to set up. 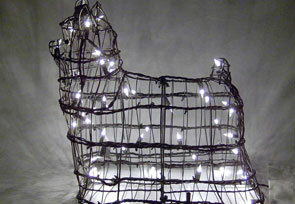 Simply unpack, plug in, sit back and enjoy. 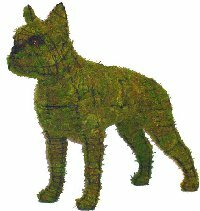 All Lit Topiary come with a replacement bulb and a flashing bulb. 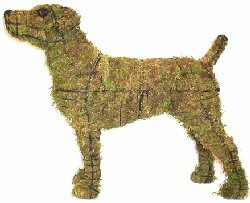 We do not supply plants with topiaries. 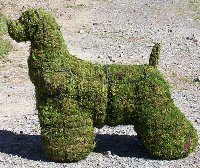 Please visit your local nursery for plant suggestions.